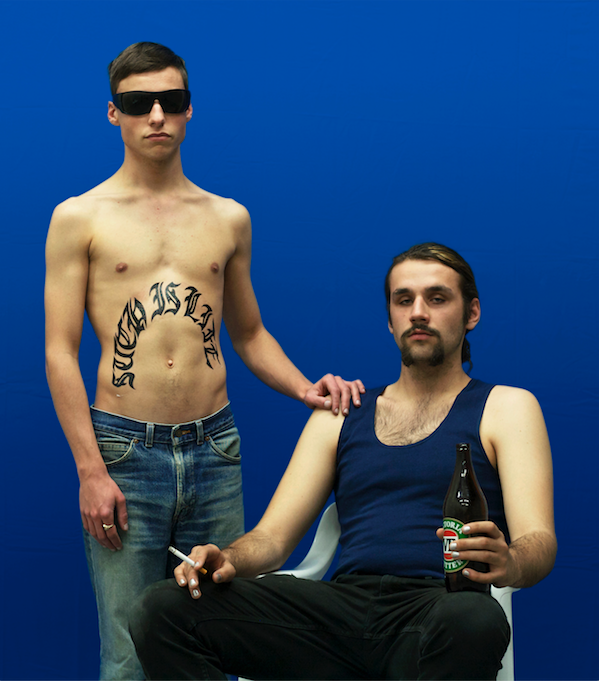 Playing the Part by Brent Harrison and Shannon McCulloch interrogates the role of Australian hypermasculinity. Focusing on the premise that gender is performed rather than innate, the artists examine how masculinity is constructed and permeated within Australian culture. Looking at celebrated archetypal figures who have served as the main models for Australian masculinities, Harrison and McCulloch subvert their authority over Australian masculine culture and attempt to make the fiction apparent and dispel the myths.